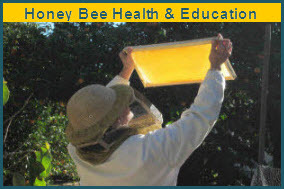 The Beekeeper Education and Engagement System (BEES) is a new online resource for beekeepers at all levels. The system is entirely internet based and open to the public. The structure of the BEES network is broken into three ascending levels of difficulty (Beginner, Advanced, and Ambassador) and three general areas of content (honey bee biology, honey bee management, and the honey bee industry).